There’s more than one way to explore a canyon. Although I haven’t given up on my plans to camp at the bottom of the Grand Canyon, my failed attempt left me searching for alternative ways to enjoy the canyon. I discovered a fantastic opportunity to explore–not only the Grand Canyon, but Glen Canyon and Antelope Canyon–by air, land and water. 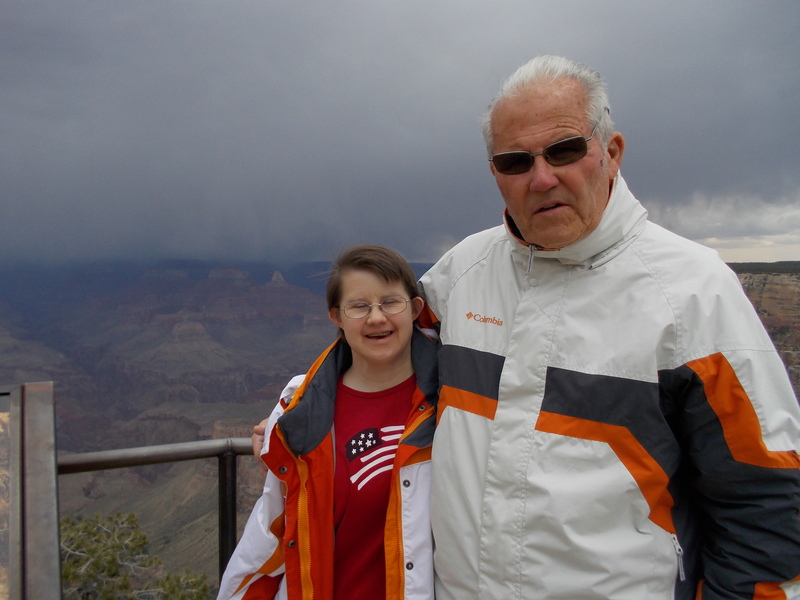 It was an excursion offered by Grand Canyon Scenic Airlines and it is worthy of a spot on everyone’s bucket list. Because our twelve-hour day would begin at 5:45 a.m., we decided to drive to the canyon the day before and stay at the Thunderbird Lodge–very nice accommodations on the canyon rim. We arrived at the canyon in time to enjoy a picnic lunch. After checking in to our room, we decided to use the shuttle to take the West Rim Drive. We usually avoid this option on day trips because it is so time-consuming, but since we had a free afternoon we gave it a try. 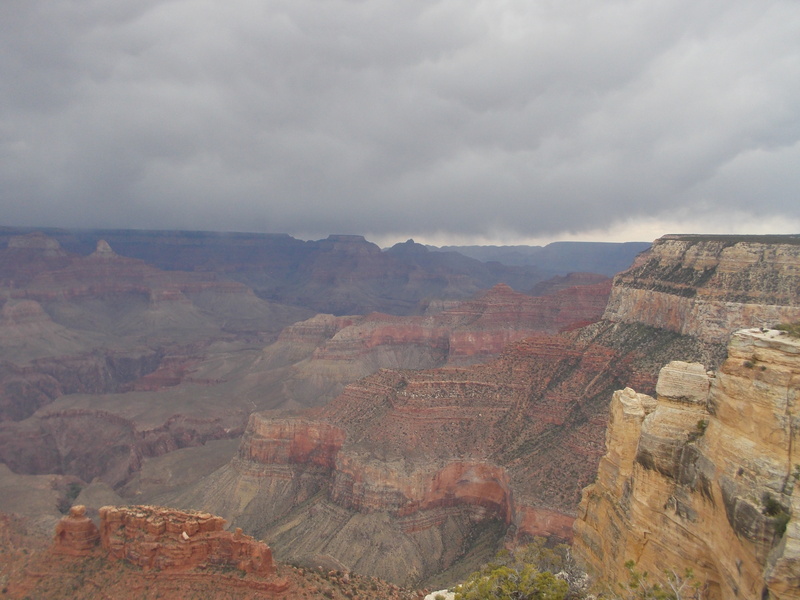 It was a cloudy day, but no rain fell on us as we traveled from viewpoint to viewpoint, each more spectacular than the one before. Up early the next morning, we had a short drive back to the airport in Tusayan. 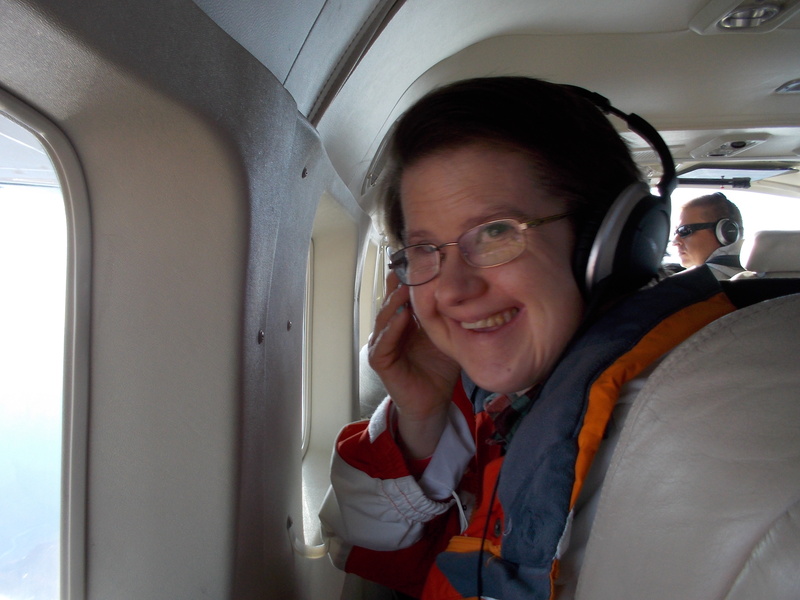 On our way, we were distracted by a group of elk–including a small calf, and were almost late for our flight. 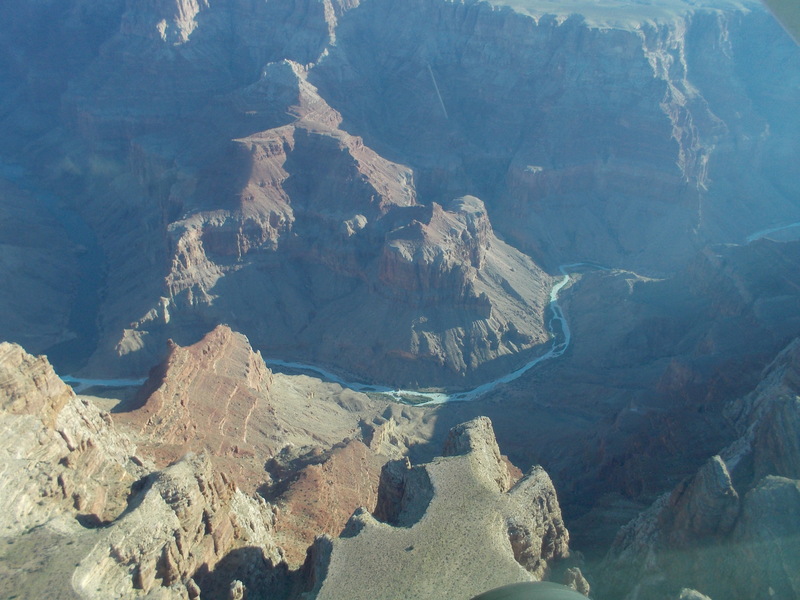 After a box breakfast, provided by the airlines, we boarded our ten-passenger plane and began the flight over the eastern Grand Canyon and into Glen Canyon. Along the way, we enjoyed views of the Colorado River, and could see the rapids in many places. 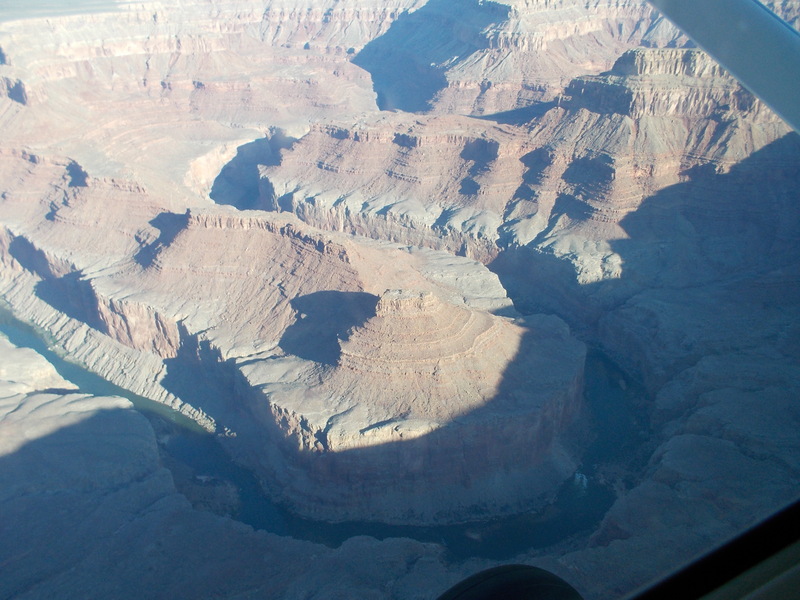 We flew over the famous Horseshoe Bend–a 260 degree bend in the Colorado River. 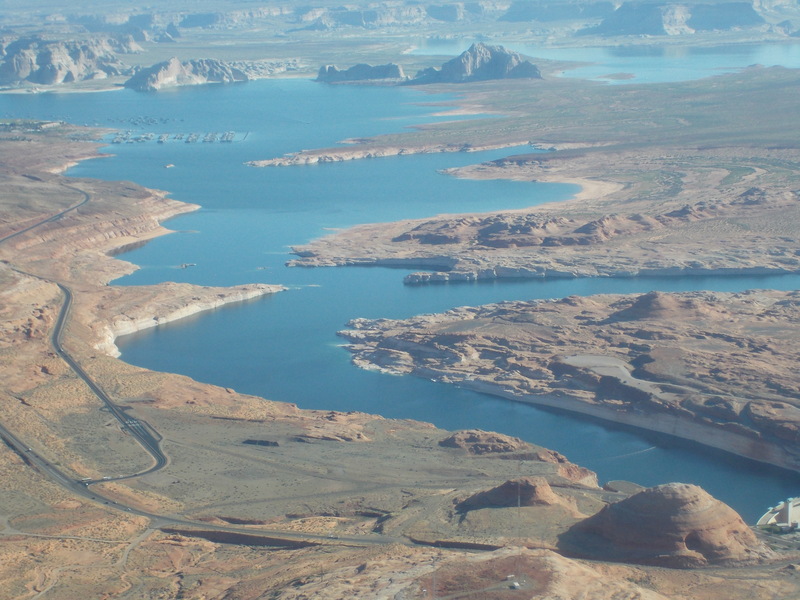 After flying over Glen Canyon Dam, our flight continued over beautiful Lake Powell, finally landing in Page, Arizona. The next leg of our journey was by land. We were loaded into the back of trucks that had been fitted with bench seats and driven ten miles into the desert. We arrived at a place that seemed pretty desolate. There we not a clue to the spectacular wonders we were about to see in Antelope Canyon. 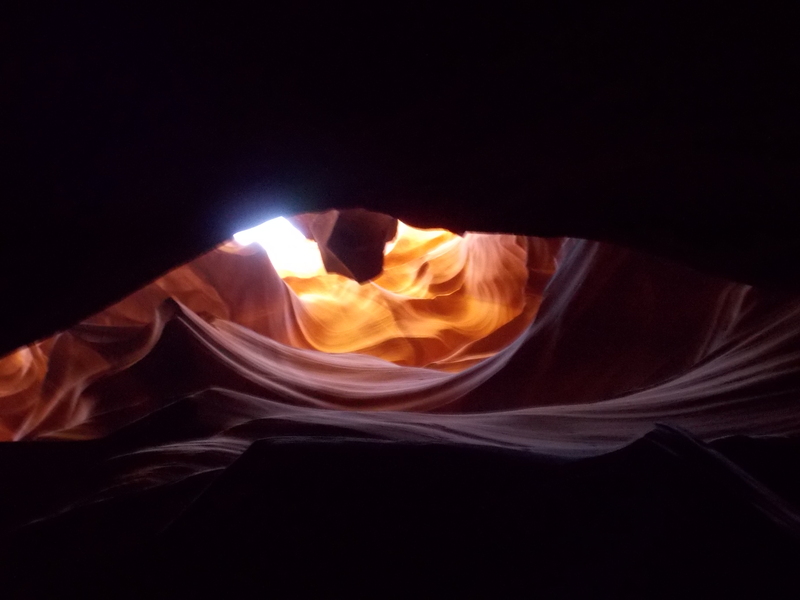 Antelope Canyon is a slot canyon located on Navajo land. 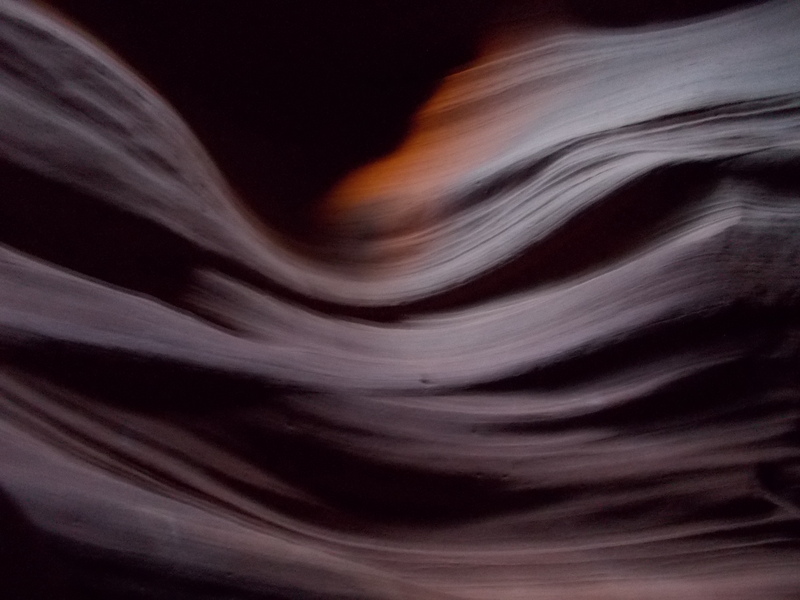 During the monsoon season, water flows through the canyon and whirls around at up to thirty miles per hour. 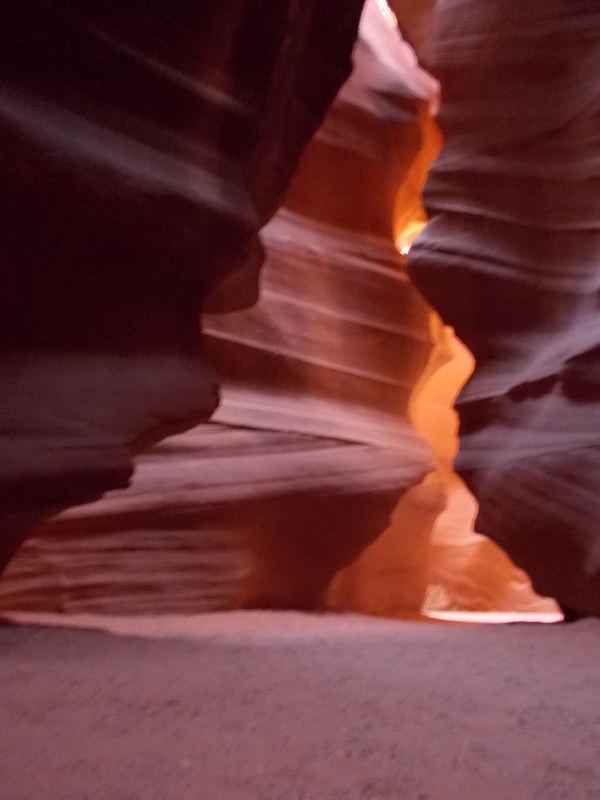 The result is a canyon one quarter mile deep filled with rock formations that can only be seen to be fully appreciated. We were fortunate to have a guide who knew all the tricks to get the really superior pictures. 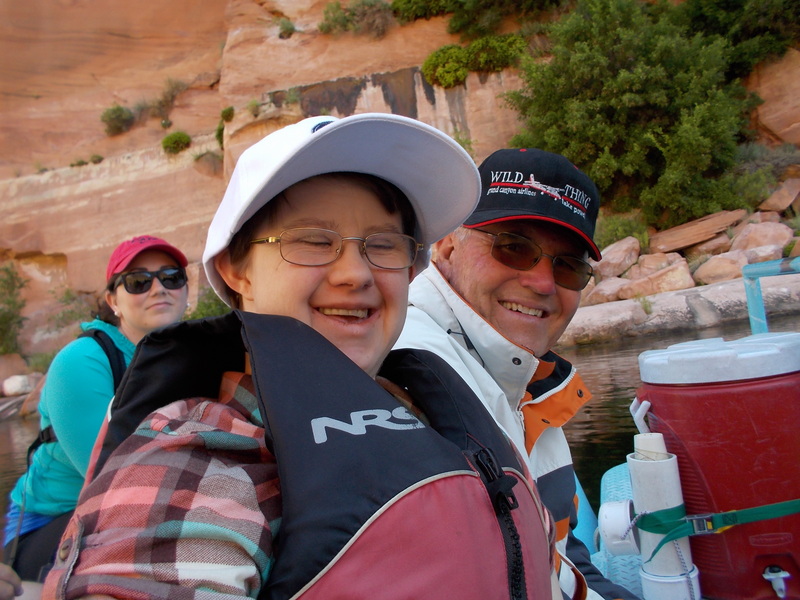 Returning to the airport, we boarded a bus that took us to the base of Glen Canyon Dam. There we climbed aboard our pontoon watercraft for a fifteen-mile, still-water float to Lee’s Ferry. 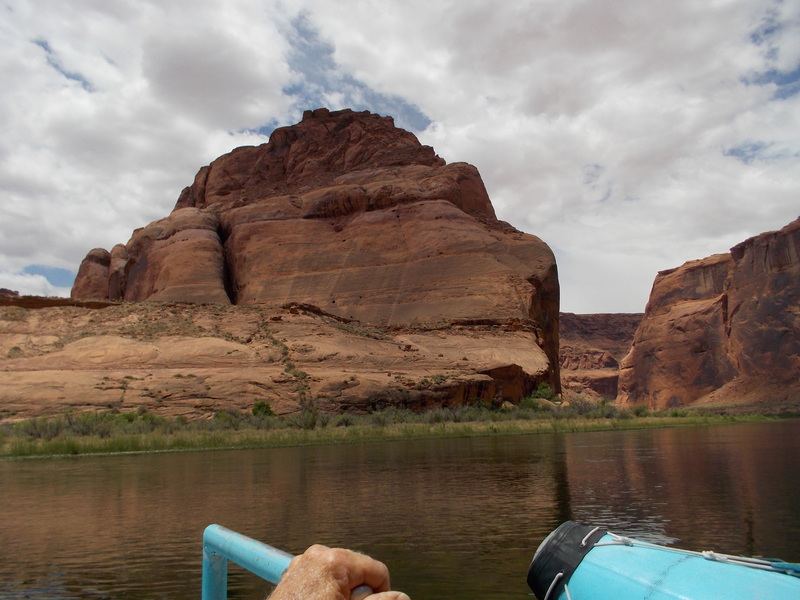 The rock formations along Glen Canyon provided spectacular views. Along the way, we floated through Horseshoe Bend that we had seen and photographed from the air. Once again we had a very knowledgeable guide who helped us appreciate what we were seeing. He told us that the dark color on the rocks was oxidized manganese called rock varnish. It takes about a thousand years for that process to take place. Our guide pointed out a place where the rock face had fallen away and some varnish was visible–indicating that the rocks had fallen a thousand years ago. 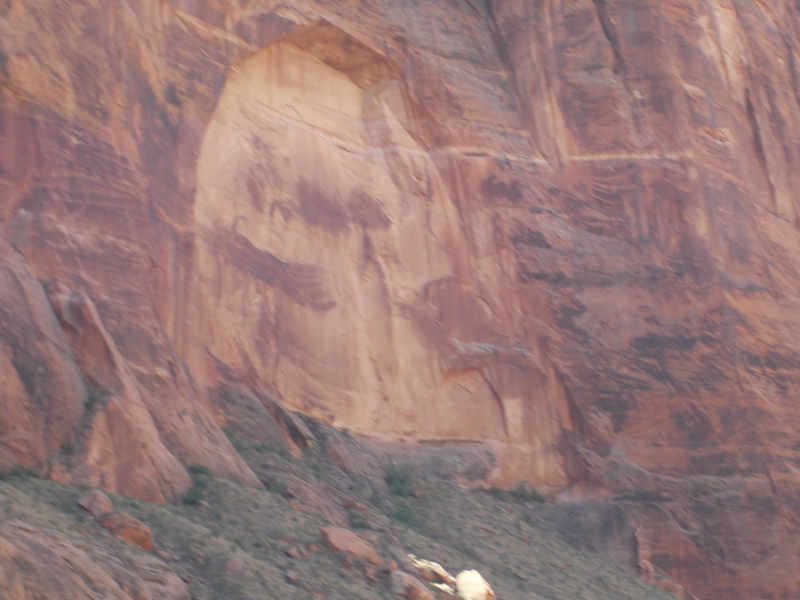 When we reached Lee’s Ferry, we left the Colorado River and began our three-hour drive back to the South Rim. On each leg of our excursion, the guide asked where everyone was from. There were travelers from Australia and Brazil. Some people were from Florida, New Jersey, and Minnesota. But we were the only ones from Arizona. It seemed strange that fellow Arizonans wouldn’t take advantage of such a superior opportunity–especially one in our own back yard. Fantastic site. Plenty of useful info here. I am sending it to several friends ans also sharing in delicious. And naturally, thank you on your effort!